Today marks the 110th anniversary of the birth of Simo Häyhä, one of the most prolific snipers of all time. Over the course of the Winter War he reached a tally of 542 confirmed kills, many of which were achieved whilst looking down the iron sights of a Mosin Nagant. The short biography below comes from Finland at War: The Winter War 1939-40 by Vesa Nenye, Peter Munter and Toni Wirtanen. 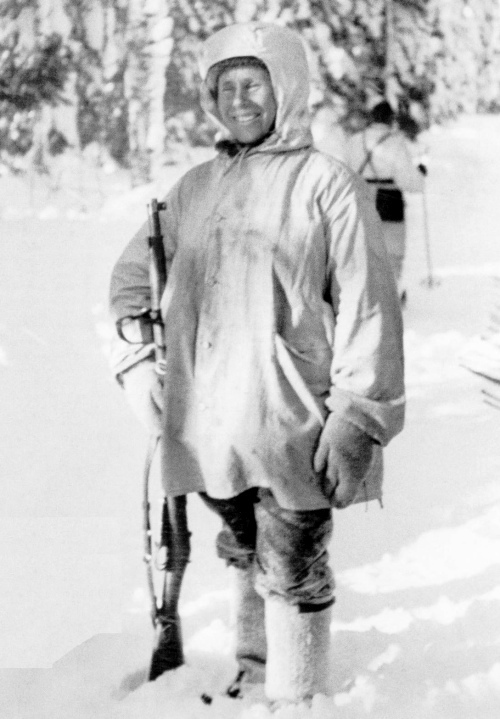 Corporal Simo ‘Simuna’ Häyhä, who served with the 6th Company, 34th Infantry Regiment, can lay claim to being the most lethal sniper ever to have lived. Häyhä was the second youngest child of eight. Born on 17 December 1905 in the village of Kiiskisenkylä, he attended grammar school and helped run the family farm. His hobbies included skiing, shooting and hunting as well as Pesäpallo, the Finnish form of baseball. At the age of 17, Häyhä joined the Civil Guard. He was already an expert marksman, winning competitions by hitting a small target at 150m range six times within one minute. From 1925 to 1927, he completed his national service in a bicycle battalion. Häyhä gained the rank of corporal upon completion of an NCO training course. In 1927, he underwent specialist sniper training. On the Kollaa front, he applied his craft using his old Civil Guard service rifle that he had brought with him to war. Although Häyhä did not keep track of his own achievements, his comrades did. Early in December, he managed to kill 51 enemy soldiers in just three days. Initially, even his closest superiors did not believe these numbers. As this relentless kill rate continued, Lieutenant-Colonel Teittinen ordered an official observer to follow him. When Häyhä was close to his 200th kill and had just returned from dispatching a particularly troublesome enemy sniper, his promotion to the rank of junior sergeant was suggested. The troops nicknamed Häyhä ‘the White Death’. As news of his deeds spread beyond Finland, a Swedish businessman, Eugen Johansson, gave a special rifle to him as a gift. Häyhä preferred to use only the basic rifle sights as they would neither frost over, nor reflect sunlight like optic scopes would do. It also allowed him to lie flatter, thus offering a smaller target. 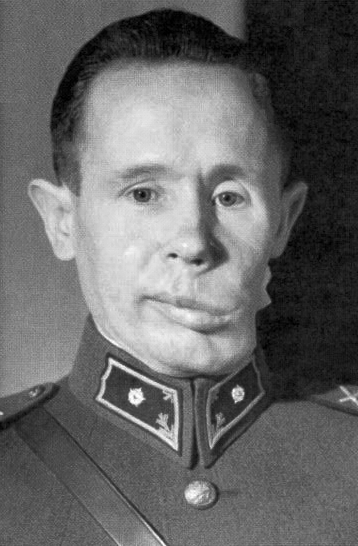 On 6 March 1940, while adopting a high-knee shooting position, Häyhä was shot in the face with an explosive bullet. The round that entered the top of his lip and pierced his left cheek was prohibited by international convention. Although the newspapers proclaimed ‘Simo is dead!’, Häyhä managed to recover, with the help of ten operations. He was prohibited from returning to front-line service and instead served his country by procuring horses for the military. Häyhä’s tally of 542 confirmed kills had been achieved in a space of just 100 days. After the war, he returned to a life of farming and hunting. Häyhä passed away on 1 April 2002. If you would like to read more about the Winter War then take a look at Finland at War: The Winter War 1939-40, available at a 20% discount until the end of December.